Seattle Medical is a leading provider of complex specialty care and short-term rehabilitation, particularly for those with co-morbidities. 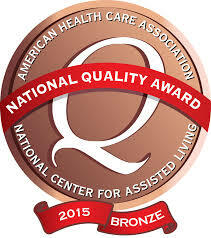 We are one of only six nursing homes in Washington offering ventilator and tracheotomy care. Post-acute patients can take advantage of our recently renovated post-acute unit with 10 private rooms and benefit from a full range of short-term rehabilitation services. We call Seattle’s historic Central District home. Located on top of one of the highest points in the city, Seattle Medical is right across the street from Swedish Hospital Medical Center’s Cherry Hill campus and a short walking distance from Seattle University. We strive to have our senior living center as convenient as possible. Director of Nursing Services (Interim): James Scarmack Jr.